Many students struggle with messy and illegible handwriting. Studies show that handwriting is a fundamental skill that can influence reading, writing and critical thinking. Even in this technology filled world, neat handwriting can help your child cross curricular. 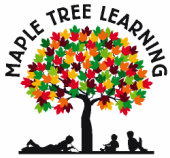 If you need some help with handwriting here in Houston, allow Maple Tree Learning to help your child master handwriting and succeed!